Bioware dropped a fair bit of news yesterday. 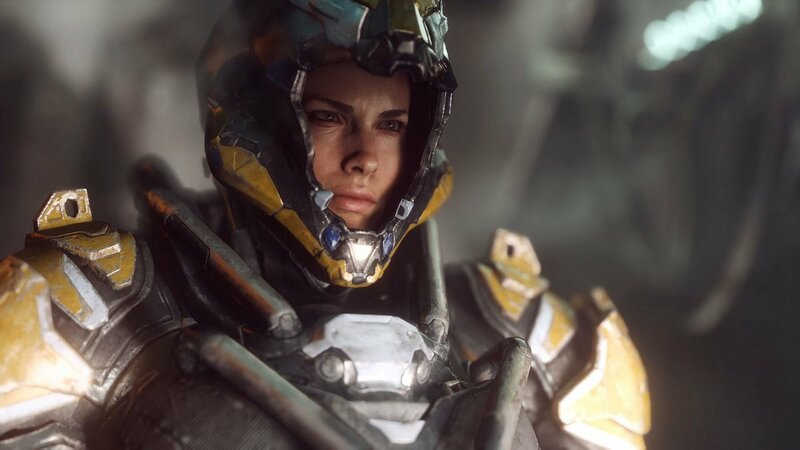 General Manager Casey Hudson said we can expect some kind of Dragon Age news next month, for example, and he also revealed that BioWare developers are now playing Anthem from their homes. 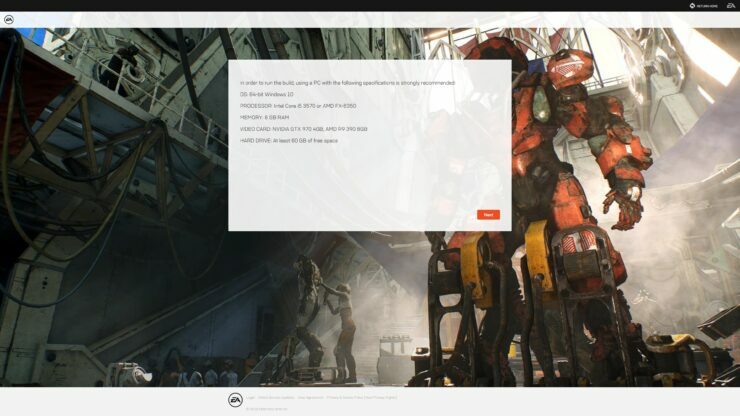 At the same time, the Anthem Alpha signup page went live. The test sessions will run next weekend, on December 8th and 9th, though Executive Producer Mark Darrah clarified on Twitter that there won’t be a huge number of spots available since this Anthem Alpha is a technical test first and foremost. Interestingly, if you pick PC as your platform of choice during the registration process, the minimum system requirements also appear. You can find them below, though of course they are not final. As a reminder, even if you’re not selected among the lucky few who’ll be in the Anthem Alpha tests, pre-ordering the game grants access to the pre-release demo available in early February 2019. The release date is pinned for February 22nd, 2019 on PC, PlayStation 4 and Xbox One. Last but not least, there was also a new developer live stream yesterday which focused on Fort Tarsis, the hub base where most of the story takes place. You can check out the recording below, grabbed by the folks at Anthem Universe.